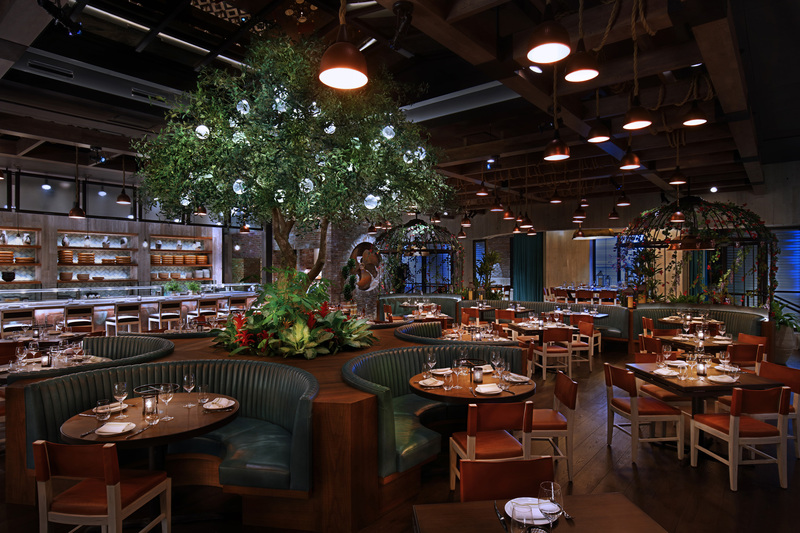 LAS VEGAS, Nov. 5, 2018 /PRNewswire/ -- CATCH Las Vegas, the globally inspired, seafood-centric hotspot favorited by boldface names from NYC to LA, has officially opened doors to its new enclave at ARIA Resort & Casino. True to form, CATCH Las Vegas' weekend of opening celebrations drew star-stacked guest lists, culminating with Casamigos' coveted annual Halloween party. 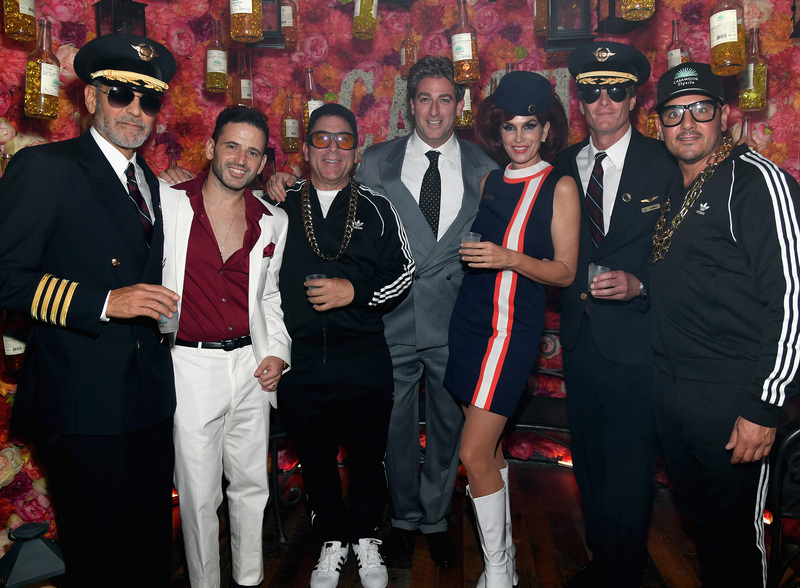 George Clooney, Cindy Crawford, Rande Gerber, Karolina Kurkova, Austin Stowell, Joey Fatone, J.B. Smoove and Marlon Wayans were among the elaborately costumed guests to enjoy celebrated CATCH dishes paired with Casamigos cocktails, a surprise DJ set by Kendall Jenner, and performances by Nas and DJ Cassidy. The Chainsmokers, Floyd Mayweather and Jermaine Dupri and other VIP guests attended Friday's progressive event highlighting CATCH's seamless transition from early evening to late night parties with special performances by Rudy Mancuso and Lexy Panterra. 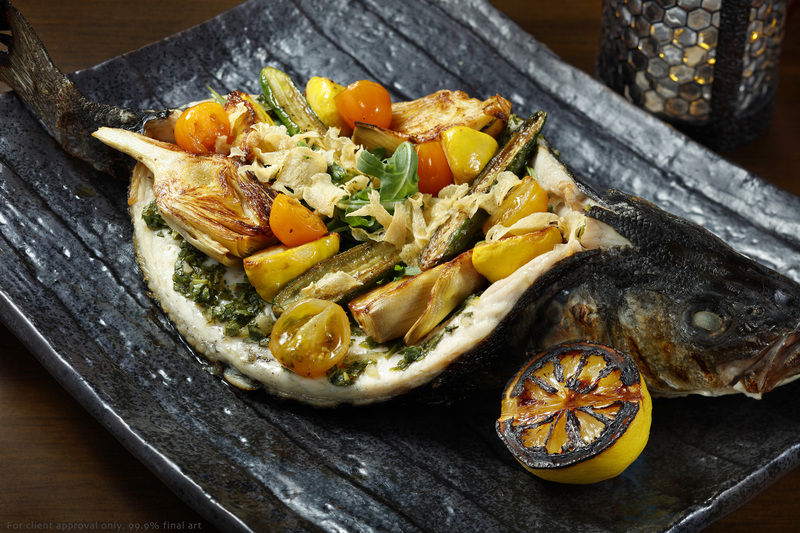 The venue at ARIA amplifies CATCH's signature experiences – from statement-making, photo-friendly visuals to decadent seafood and sushi combination towers – for The Strip. As guests traverse through the picturesque entryway – a surreal, 80-foot-long tunnel-like pergola, offset by twinkling trellises and colorful blooming walls, it almost feels like stepping into a secret garden or hidden world. CATCH Co-Founder Mark Birnbaum: "It has been a long-term goal of ours to bring CATCH to Las Vegas. 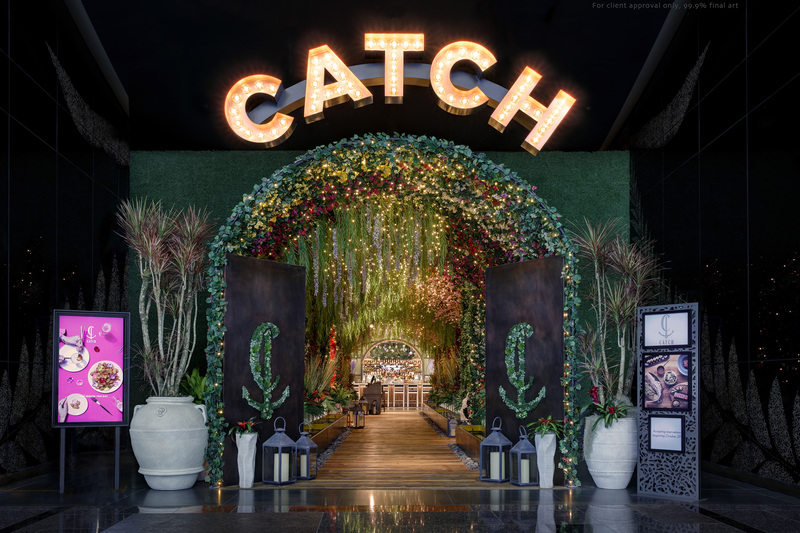 It's a dream come true to see our name in lights and we couldn't think of a better resort than ARIA to bring the high-energy CATCH experience to life." CATCH Co-Founder Eugene Remm: "Las Vegas is the mecca. We've taken the great food, the great service, and the great vibe of our CATCH properties and transplanted it to one of the greatest markets in the world." CHG Partner Tilman Fertitta: "Everything we do at CATCH is so special in a new and modern way. We're so excited to take CATCH to the next level in Las Vegas, one of the great destination cities in the world." High Rollers – In addition to soon-to-be-announced Las Vegas-exclusive sushi rolls, CATCH also offers its famed signatures. The vegan Veggie KingRoll is made with king oyster mushrooms, cashew and spicy miso. For a unique and delicious flavor profile, guests can opt for the Hellfire Roll, which uses spicy tuna in two ways with Asian pear and balsamic. Delightful Desserts – Over-the-top desserts celebrate indulgence with treats like the "Hit Me" Chocolate Cake that encourages guests to smash the liquid "Klondike" bar perched atop a brownie, devil's food cake and roasted white chocolate ice cream. Other delights include the Vegan Pistachio "Cheesecake" with coconut sorbet and black cherry jam and The Carnival, a wheel of warm ricotta donuts with dipping sauces like cream cheese frosting, raspberry lime, milk chocolate, and salted caramel. Creative Cocktails – CATCH offers innovative cocktails with names that pay homage to pop culture icons, like the Ziggy Stardust with Volcán Blanco Tequila, white peach, ginger beer, lemon and Hellfire Bitters. 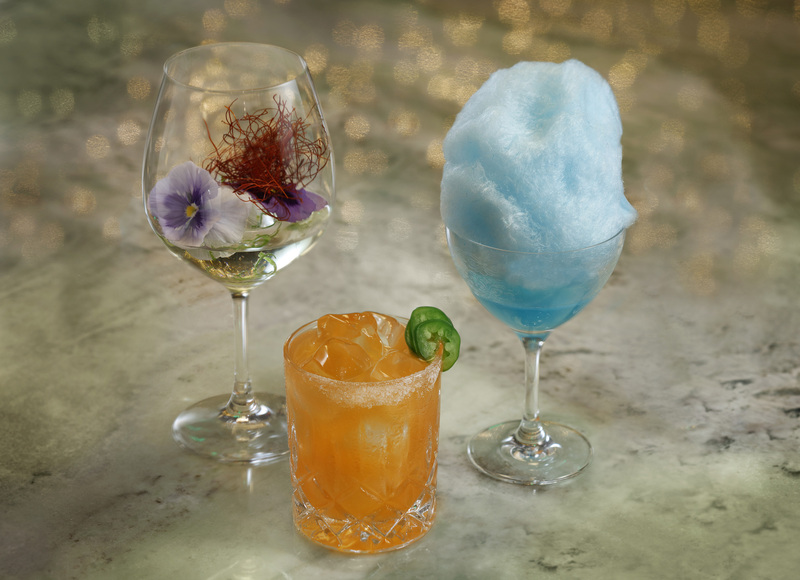 Catch 22 – a Las Vegas exclusive – begins with a puff of cotton candy that dissolves before guests' eyes as a concoction of vodka and yuzu pours atop the pillowing cloud in the glass. Worldly Wine – CATCH Las Vegas features a balanced and playful wine list with a mix of regional and international varietals designed to pair well with CATCH's diverse cuisine. Highlights of the menu include over a page of sake offerings as well as an extensive selection of rosé wines. Additionally, the menu features the Captain's Stash, a reserve section of wine that includes premium, fine and rare selections listed above a $1,000 price point. With a focus on culture and brand, New York based restauranteurs Remm and Birnbaum spent two decades building CHG into one of the country's most successful restaurant management companies. Dubbed by Forbes Magazine as the "New Kings of New York Hospitality," Remm and Birnbaum pioneered dynamic hospitality experiences using food, service and vibe to create seamless transitions between dining, nightlife and entertainment. In addition to Catch, CHG operates midtown American brasserie Lexington Brass (2011). American businessman Tilman J. Fertitta, whose privately owned Landry's, Inc. ranks among the largest restaurant corporations in the U.S., has spent nearly 40 years cultivating his hospitality empire. The "World's Richest Restauranteur," according to Forbes Magazine, Fertitta is the star of CNBC's Billion Dollar Buyer, the proud owner of the National Basketball Association's Houston Rockets and is the owner of the Golden Nugget Casinos and Hotels.